Soapstone is a metamorphic rock, a talc-schist. This non-porous substance provides an excellent medium for applications such as kitchen countertops since it will not absorb liquids, which means soapstone countertops are extremely stain-resistant. 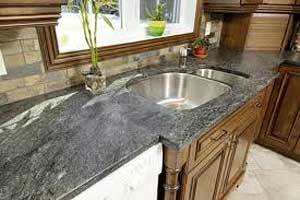 An additional extraordinary quality about soapstone countertops is in its unique thermal properties. Due to its superb ability to resist heat, this mineral can be used not just in soapstone countertops, but also in many other applications such as fireplace surrounds, laboratory counters, oven interiors and grills, to name just a few.